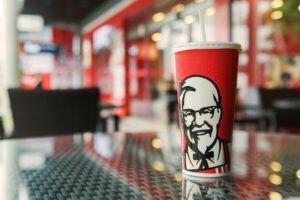 Influential KFC franchisee uses Envysion’s Managed Video Solution to enhance liability protection, employee training, and the bottom line. When Inman Hodges speaks, restaurant owners listen. From a small corner of the Southeastern US, his is among the more influential voices in today’s QSR scene. The second-generation restaurant franchisee and President of Hodges Management Company has overcome mounting competition for talent, increased profit/loss challenges, and the continuous evolution of the QSR landscape to build a thriving network of 30 KFC, KFC/Taco Bell, and Dairy Queen stores across Georgia. But it hasn’t been easy. Heavy retail growth in the region over the last several years has produced competitive openings for job seekers, thrusting Hodges headlong into a continuous battle for qualified, skilled workers. Part of his challenge–beyond just hiring and retaining good people–was arming them with the right tools so they could be more effective in their roles and more satisfied with their jobs. Hodges is a long-time proponent of using surveillance video for loss prevention and risk mitigation, but also sees potential for employee engagement and training–so long as the right system is in place. Previously, the company implemented an on-premise surveillance system to keep a watchful eye on operations across each store, but quickly found it flawed and too cumbersome to be effective. In particular, the system experienced numerous outages and occasional downtime, creating blind spots across various aspects of the company’s locations. Hodges notes a number of instances including robberies, employee theft of thousands of dollars, and potential lawsuits from accidents in stores that could have been better addressed with a more dependable video solution in place. Even when the system worked properly, reviewing footage was time-consuming and costly. Because it was a standalone, on-premise system, video reviews had to be conducted on-site in the stores, taking managers away from important tasks during their shifts or requiring them to review footage after hours. Once they managed to carve out the time, the process involved dialing into the system repository, downloading footage from a particular time period, and manually sifting through hours of footage to locate the incident in question. Eager for a more agile and efficient solution, Hodges set out to replace his outdated surveillance system. In particular, he wanted a cloud-based solution for better performance and easier use, as well as one with stronger analytics capabilities that he and his staff could access from anywhere. Importantly, as a long-time KFC franchisee and a strong influence within the KFC franchise community, Hodges wanted to ensure that the solution he found aligned with the corporate office’s present and future system preferences as well as meeting the unique needs of other franchisees. After evaluating a number of outdated on-premise systems, Hodges selected the Envysion Managed Video Solution because of its intuitive interface, mobile-ready accessibility, and reputation for innovation and flexibility as a leading cloud-based solution. “The consensus among the technology committee was that DVR systems were obsolete and that Envysion’s cloud-based capabilities, combined with the easy integration with other loss prevention reporting tools, was the best path forward for all of us,” Hodges says. Envysion is a great departure from Hodges’ previous system. Unlike inaccessible on-premise solutions, Envysion is a web-based platform providing secure, consistent anytime access to live and recorded audio and video from any Internet-enabled device. Now, instead of traveling to the store location and directly downloading video recordings, Hodges and authorized managers can simply log into a central hub containing an itemized list of video, review records on-demand, and even share them with other authorized users. Hodges says that Envysion has eliminated blind spots that have plagued his business for years. 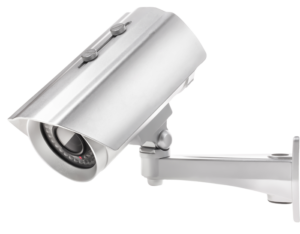 The multi-angle video and integrated audio provide full visibility across important areas of the restaurant–register areas, back offices, storage, and external grounds–that, when combined with other loss prevention tools such as Delaget Guard and Overseer, give Hodges a complete 360-degree view of his entire business. Delaget Guard’s loss prevention software for restaurants offers critical intelligence to help identify employee theft that adversely affects the bottom line and recommends steps to stop it. But Hodges notes that not everyone is taking full advantage of the integrations between Delaget and Envysion to get the most from their loss prevention efforts. With Envysion, he and his team have more actionable intelligence from various source to better protect against loss from theft, fraudulent insurance claims, or other legal pitfalls. For Hodges, the simplicity of the system is as important as the volume and types of information it can provide. According to Hodges, one of the biggest advantages to working with Envysion is the system’s potential for employee recognition and training purposes that would help deliver maximum value from his investment. “The Envysion platform has great potential as a training tool because we can quickly recognize when team members in any store have provided exceptional service and commend them for it,” he says. In the future, Hodges is looking forward to watching continued collaboration among Envysion, its partners, and the KFC corporate office unfold. Perfectly happy with existing deployment, his vision for the technology is for it to further evolve to custom-designed solutions for newly constructed restaurants and other creative applications of enhanced audio and video capture that will revolutionize the way QSR operations are managed.